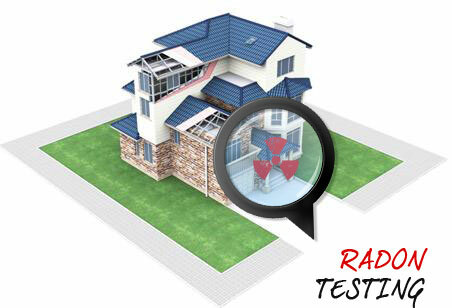 Our testing process for radon uses state of the art continuous radon monitors. These monitors take multiple air samples per hour for a two day period. These levels are then averaged and reported in a measurement called pico curies per liter. The results need to be under 4.0 pCi/L in order to be considered a safe level. – Windows and doors need to be shut except for normal in and out. Central air conditioning and heating can be run as normal but window air conditioning units should be removed and windows closed, if they cannot be removed they can only be run on “circulate” mode. Closed house conditions should remain in effect for the duration of the testing period. If a radon mitigation system is present, make sure it is operating normally unless instructed by your radon professional. Do not operate a whole house fan during the testing period. Report any power outages to your radon professional. Limit the use of bathroom and kitchen exhaust fans. By following the above protocols, you can ensure that your test results will be accurate. Call TODAY to schedule your radon test or mitigation!